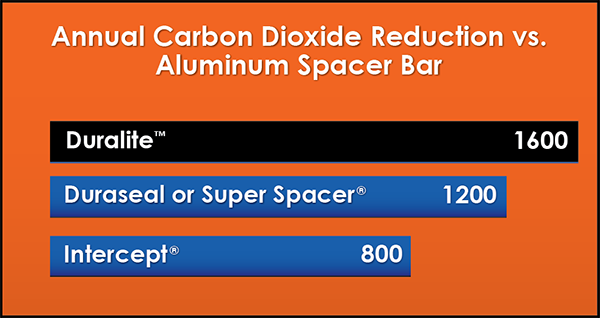 The Duralite spacer system can save you money. 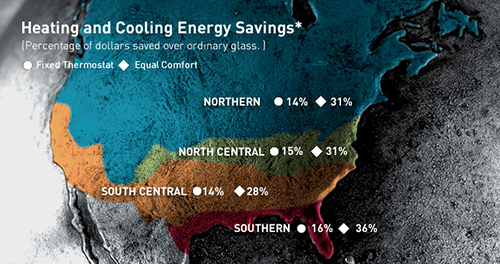 The energy efficiency of a window can be measured by the amount of heat conducted through its materials. 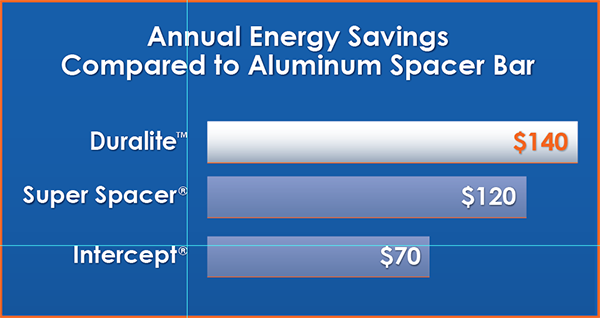 Duralite spacers conduct less energy than any other insulating glass spacer, saving you more money on your energy bills. Easier to meet EnergyStar™ req.